Presidential Suites – Cabarete is the ideal spot for a true vacation adventure. This destination – with its turquoise waters, ever-present breeze, golden beaches and tropical climate – is a paradise for windsurfers and kite surfers from around the world. Scuba diving is also a popular activity in the area. 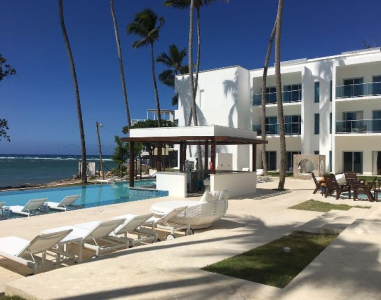 Presidential Suites – Cabarete is a breathtaking and luxurious All-In resort with three restaurants, two snack bars, a rooftop lounge and a beach bar. At Mila’s Sky- lounge, located on the top floor of the Beach Club, you can relax with a cocktail, the delight on its’ Asian fusion cuisine and enjoy a spectacular panoramic view of the ocean, a great way to start the evening… or end it.